As the 14th anniversary of the events of September 11, 2001, approaches, a group of notable researchers will be presenting important information on Friday and Saturday, September 11th and 12th, 2015, about 9/11 and its relation to recent "terrorist" events in North America, and what the 9/11 Commission did not tell us. The events of 9/11 have caused many to raise considerable questions about what happened on that fateful day and how the events were used to justify wars of aggression that continue to destabilize the world. The broadcast can be viewed on RethinkSeptember11.com from anywhere around the world and we encourage viewers to submit questions and comments in real-time using social media. The broadcast will feature personalities such as Kevin Ryan, Cynthia McKinney, Graeme MacQueen, Daniele Ganser, David Johnson, and James Corbett. The RethinkSeptember11 team is requesting all concerned citizens to spread the word and to view the broadcast. Your support is appreciated! Where were you when Kennedy was shot, when the Neil Armstrong walked on the moon? Where were you when the Twin Towers came tumbling down? Some events are etched into the memory. The day that will forever and be known simply as “9-11” falls into the latter category. It is iconic, it was a watershed. The world was not the same after it happened. It will never be the same again. As the 10th anniversary of that day approaches, the Morning News and SCNow.com are planning special coverage. We’d like our readers to be a part of that. just discovered how to show Youtube clips. This one must be watched to be believed! 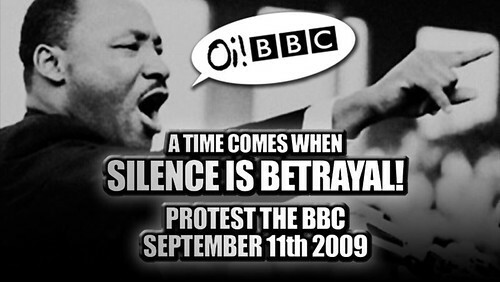 Eight years ago today, the world fell over on my TV screen while I vomited dodgy prawns into a washing up bowl. Shivering and baffled, I lay on the living room carpet, picking shreds of bok choy from my poisoned teeth, as the four busy horsemen of the apocalypse rode their jets into skyscrapers and put everything we knew about everything to the torch. No wonder some people saw Satan's face in the dust – 11 September was a day for the demons, a jubilee of mayhem. The devil's own harvest festival. Eight years later and though the shivering has stopped, that sense of bewilderment and awe remains. The dust from that day is still in people's lungs, our world is madder than ever, and I'll never eat shrimp chow mein again. Damn you, al-Qaeda! You took away my freedom to eat Chinese food! I hate your hatred of my freedom! http://www.9-11anniversarylondon.org/ WE DEMAND THE BBC COVERS THIS STORY • Scientific peer-reviewed proof nano-thermite found in the rubble at Ground Zero • 750+ architects and engineers demand a new investigation 9/11 is a historical event and it has changed the way we live today. Subsequently to 9/11, the Bush and Blair administrations launched an aggressive War on Terror which we were told would last the rest of our lives. Shortly after, Afghanistan and Iraq were invaded and the blood of millions of innocents has been spilt. Furthermore, the Patriot Act and UK Anti-Terror legislation has eroded our civil liberties with devastating effect. The police state has never been better funded. The mainstream media has sensationalized Islamaphobia and Muslims are subject to countless unnecessary stops, searches, raids, arrests and harrassments. The War on Terror is a War OF Terror. This makes it all the more concerning when we discover that many western intelligence agencies had foreknowledge of the attacks and failed abysmally to prevent them. Activists from We Are Change London visited Kings Cross station on the 4th Anniversary of the London Bombings. While giving out dvds and leaflets they meet a woman who claims to have been at Holborn station on July 7th 2005. Seconds after buying her ticket at 8.32am she explains that a station announcement requested that people leave the station due to a 'power surge'. According to the official account the three simultaneous bombs exploded around 8:50am.